Exactly a week ago, Punxsutawney Phil poked his head out of his burrow and was frightened by his own shadow, thus predicting six more weeks of winter. We smiled at the news, wished everyone a “Happy Groundhog Day” and went about our business not thinking anymore of it. After all, Groundhog Day is just one of those silly traditions that we learn about in grade school. It seemed as though Phil was mistaken this year. Yesterday was such a glorious day that KT decided that it must be spring. She happily dug out the capris she had stowed away last fall and tried her best to convince me to help her plant the garden. She pointed that it was fifty degrees out and that our bulbs were already sending shoots out of the ground. I managed to distract her by taking her shopping for a jacket she needed for her FBLA conference this week. I was ready to go just as soon as we found the conservative attire that KT needed. She, on the other hand, wanted to try on a few more things. 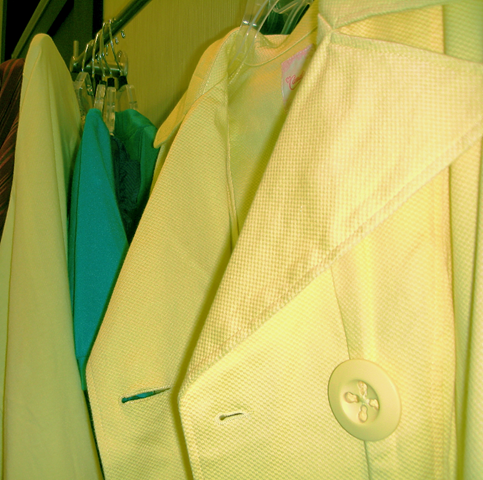 Namely a lovely yellow spring jacket that she had fallen in love with. Somehow she managed to convince me to buy it for her (Yes, I know it’s a lame picture, but it’s the only one I have. I was just playing around while waiting for her. I hate shopping….) and KT was just floating on air. I couldn’t help but grin at her joy over this lovely new spring coat. This morning I woke up to KT’s wails of dismay. She announced that it had snowed last night and that there was still school. I was still more than half asleep and couldn’t quite understand why she was so upset about the snow. It took about half a cup of coffee for it to finally dawn on me that it wasn’t going to be another warm spring-like day. It simply wouldn’t do to wear a thin jacket out on such a blustery day. This entry was posted in Critters, Family, KT, Weather. Bookmark the permalink. Send her to Iowa. It’s warm and rainy here. Welcome to the phenomena known as false spring. It will break her heart many times over the years, until she learns to see it as the brief but enjoyable respite it is. There is hard frozen ground with loads of snow here, but I don’t think that groundhog predictions travel to the UK. I am ready for this winter to be over. That is a fabulous yellow jacket! 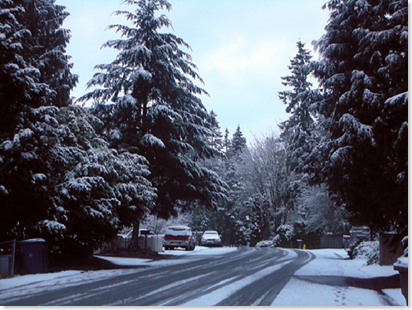 I know for certain of so few things–but for sure, winter is not over, yet! Hey that looks like my street. Hey is that my street? I was wearing my flip-flops yesterday. So nice! It was in the 50’s today. It’s but a tease. It’s February, a very cruel month. Ah, the travails of youth! Well, I can say one thing! If that was your brand new jacket and you were around six you would have worn that jacket to school no matter how cold and snowy it was! I speak from the experience of knowing you at that age and remembering a certain poncho! The same thing happened here too! I thought for sure the groundhog was wrong and we woke up with a dusting. Phil the Groundhog has a reputation to protect and he will not be mocked! We had a beautiful day Saturday… sunny and 60’s, and like you (since we’re only three hours or so south) it is snowy today. The kids are thrilled though, they’ve never gone to the bus stop so easily! I’d like to grind the ground hog. Love that color yellow … like daffodils! That is an adorable jacket. I get all antsy when the spring stuff starts coming out…..but then we get another round of icky weather. Did she get her bag packed with the essentials?? I remember donning a fabulous “spring outfit” one day many moons ago. I was 19 and going a date with “Mr. Wonderful” – we sat in the back of a restaurant talking far into the night. When we exited there was three inches of snow. I was quite the site walking along the streets in white and pale grey basket weave flats. 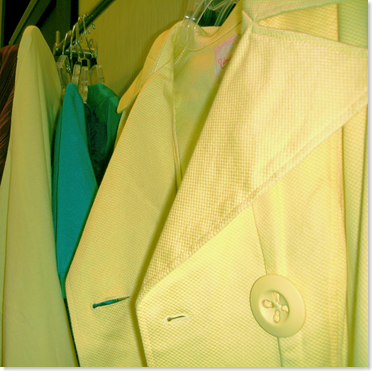 The jacket is lovely – I love yellow in spring. I’m at the point where I’m screaming at the sky to please dump more snow. Yea, I’m perverse like that. But I LOVES me winter, and it’s been rainy/icy here…I want more soft fluffies.